Hugo Lake State Park in Hugo features unexpected historical treasures like the Mount Olivet Cemetery, where legendary bull riders were laid to rest. Venture out to one of Oklahoma’s state parks and discover the unexpected historical treasures that await you. From a fake gold mine to wagon wheel ruts from pioneer days, each of these parks has a unique and fascinating story to tell. Keep an eye out for the park’s unusual architectural features. Structures like the bath house, picnic pavilion and golf course pro shop date back to the 1960s, and their angular roofs stand out against the natural landscape. Even the picnic tables scattered around the park are unique, employing a hexagonal design. For a unique view of the park and its wildlife, catch a ride on the miniature train at Beavers Bend Depot & Stables. The 1/3 size replica of an 1863 C.P. Huntington train takes riders on a journey through the forest and down Wahoo Hill. The Forest Heritage Center Museum holds many treasures, including a 100-year-old, one-room cabin that was relocated to the museum’s courtyard from the Battiest area and furnished as it might have been back then. The park now has a pool, but 7-acre Lake Shaul was once a swimming area. Look closely at the lake, and you’ll find remnants from that time, like the metal pool ladder and portions of the concrete wall used to divide the lake into separate areas for fishing and swimming. Boiling Springs’ stone bridges, water feature, swimming pool, community building and stone picnic shelter were all built by the CCC in the 1930s and have stood the test of time. The beautiful structures can be seen around the park. Built in 1845, the nearby Hunter's Home, formerly known as the George M, Murrell Home, is the only remaining antebellum mansion in Oklahoma. Tour the home or visit in late October for the annual ghost stories event, when storytellers in period costumes tell bewitching tales of the house’s past. There’s plenty to explore at the nearby Cherokee Heritage Center, but Diligwa, a 1710 Cherokee Village, is particularly unique. The outdoor living exhibit lets visitors experience life in the early 18th century through activities like stickball and basket making. Many people have claimed to be “in the middle of nowhere,” but it’s a particularly short trip for Fort Cobb State Park visitors. The unincorporated community of Nowhere is just southeast of the park. An earthen dam was constructed to create Foss Lake. When finished in 1961, the dam was 142 feet high and more than 3 miles long. It remains one of the largest earthen dams in the nation. Can’t wait for Christmas? Neither can the folks at the park. Foss State Park celebrates the holiday very early with its Christmas in July event celebrating military history by honoring veterans. It takes place the weekend following July 4, and highlights include live music, fireworks, a motorcycle parade and a 5K and color run across the dam. So, are they the Gloss Mountains or Glass Mountains? While the park carries the Gloss Mountains name, some books and maps refer to them as the Glass Mountains. A marker near the start of the Cathedral Mountain Trail explains the history behind the two names. Grand Lake is formed by the Pensacola Dam, the largest multiple arch dam in the world. At a little over a mile long, it’s truly an impressive sight. The GRDA offers free tours seven days a week during the summer. The nearby town of Disney boomed in the 1930s as construction workers arrived in the area to build the Pensacola Dam. Many of the Main Street buildings from that time have survived, including the old Dam Hotel were many workers stayed, which is now a clothing store and boutique. With its historic buildings and log replicas, stepping into Har-Ber Village Museum feels like taking a trip back in time. Just a few miles west of the Honey Creek area, the museum offers self-guided tours, hands-on activities for kids and frequent special events. East of the Honey Creek area is the iconic Sailboat Bridge. The high-arching landmark was Oklahoma’s second-largest bridge over water when it was built in 1939. The Spavinaw Creek was dammed in 1924 to help provide a water source to Tulsa. That created Spavinaw Lake, northeastern Oklahoma’s first man-made lake. Charming mission-style architecture and a museum dedicated to the town’s rich transportation history make the 100-year-old Santa Fe Depot a must-do stop in Waynoka. Journey to the far north end of the park, and you’ll find the remains of a gold mine that never was. Legend has it that the owners salted the Gold Belle Mine with gold dust, spread the news and sold stock. No gold was found, and it soon closed. Today, only parts of the mill and a concrete foundation remain. The park is located in an area of Oklahoma that was once home to the Plains Indians, including the Kiowa, Wichita, Comanche and Apache tribes. A display within the park provides detailed information about the tribes’ history. The park’s stone cabins were built in the 1930s by the Works Progress Administration, Civilian Conservation Corps and German prisoners of war. One nearby attraction is Mount Olivet Cemetery, the final resting place of legendary bull riders Freckles Brown and Lane Frost. 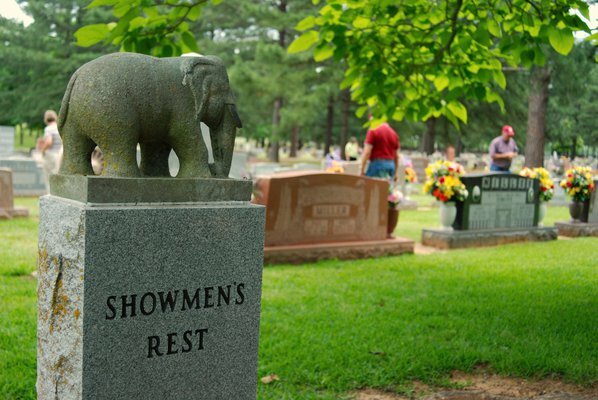 Because Hugo also serves as the winter home for several major circuses, an area of the cemetery known as Showmen’s Rest contains graves of many circus performers. Those who rent the yurt on Hummingbird Beach get an extra treat — the opportunity for their own private beach at night, optimal views of the lake. The gates are closed to the public every evening. Tucker Tower contains one of the most interesting artifacts found in a state park: half of a huge meteorite that was discovered during construction of the park. The meteorite, at the time the largest found anywhere, was cut in two for testing. Fort Washita was established in 1842 to protect recently relocated Choctaw and Chickasaw tribal members. Visitors to the nearby Fort Washita Historic Site & Museum can see some of the original structures and explore the beautiful grounds. Charming mission-style architecture and a museum dedicated to the town’s rich transportation history make the 100-year-old Santa Fe Depot and adjacent Harvey House must-do stops in Waynoka. About a half hour’s drive from the park sits a unique piece of history: the Atoka Museum, Civil War Cemetery & Visitors Center. The cemetery contains the graves of Confederate soldiers killed by a measles epidemic in 1862. Parts of the park — like the waterfall and forests — might feel familiar to even first-time visitors, and there’s a good reason why. Scenes from the 1974 movie “Where The Red Fern Grows” were filmed at the park. While the old swinging bridge shown in the movie didn’t stand the test of time, crossing its sturdy replacement (built in 1998) provides similarly stunning views of the park. For a bird’s-eye view of the park, head to Tent Hill — a primitive camping area — and climb the stone steps to the scenic lookout, the remnants of a rock structure originally built by the Civilian Conversation Corps. Established in 1824, Fort Towson was an important outpost in the Mexican and Civil wars. It was the site where Stand Watie became the last Confederate general to lay down arms. Today, visitors to the Fort Towson Historic Site can see the remains of some of the original structures, learn about the history of the fort at the museum and watch monthly demonstrations on various facets of pioneer life. The park’s namesake cave is purported to have been an outlaw hideout for Belle Starr and Jesse James. The hike to the cave offers a beautiful panoramic view of the landscape surrounding the park. Wilburton native Carlton Weaver’s grave can be found near the main park entrance. Weaver provided the land for the park and requested that he be buried on the land he loved. Five camping areas are named after a chief or leader from each of the Five Civilized Tribes. Look for monuments bearing their images and a tribal seal at the entrance to each area. The park is located in the heart of what was once known as Indian Territory. The Spirit Trail gives hikers a glimpse into the past with markers that share information about the history of the tribes in the area. The nearby Fort Gibson Historic Site & Interpretive Center has a reconstructed log fort and 29 historic buildings that remain from what was the first army post in Indian Territory. Fort Gibson operated from 1824 to 1890, and today the site has historical exhibits and hosts living history events throughout the year. What was once the small community of Ray lies on the northern edge of the park. The community’s cemetery and the still-active Ray Mission church are on park property. The Horsethief Springs Trail is another noteworthy piece of history in the area. Portions of the trail follow the route horse thieves used in the 1800s, in part because of the once-active fresh water spring. Hikers can see the 1930s-era stone structure the Civilian Conservation Corps built to contain the water. The nearby Old Military Road Trail is part of the original Old Military Road, which was constructed in 1832 to connect Fort Smith, Arkansas, with Fort Towson. Look closely along the trail for signs of the old wagon road, used mostly by soldiers and Choctaw Indians. Some of the old businesses and farmhouses from the town of Cookson still exist beneath the surface of the lake. Divers can explore the remnants of this former community. Other buildings, like the town’s general store, were relocated and are still standing.